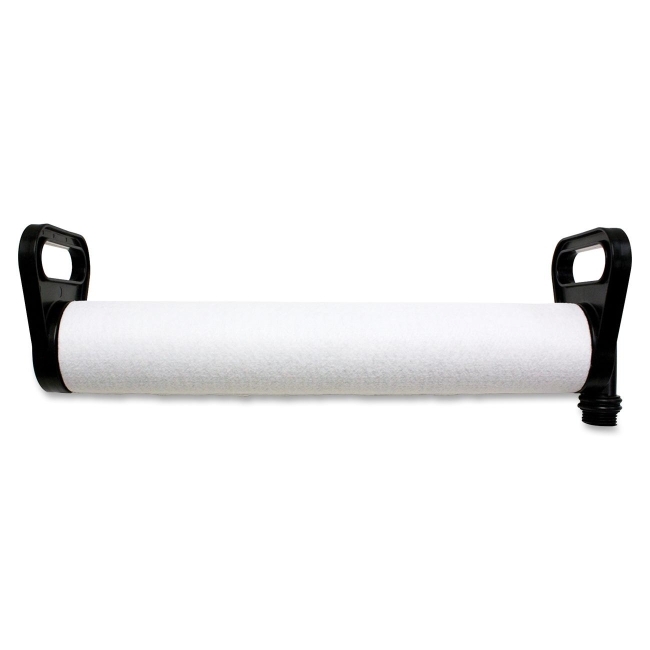 Replacement water filter improves productivity in the Rubbermaid Hygen Clean Water System, reduces water and chemical usage, and creates healthier and safer environments. Back flushable filter is easy to maintain. Integrated filter provides clean water all day, eliminating unproductive trips to the janitor closet. Filter fits into Hygen's chamber. When the Hygen bucket is tilted 90 degrees, the dirty water floods the filter chamber to be clean. Once the bucket is rotated back to its original position, clean, filtered water will flow back into the mopping chamber so you are ready for mopping.